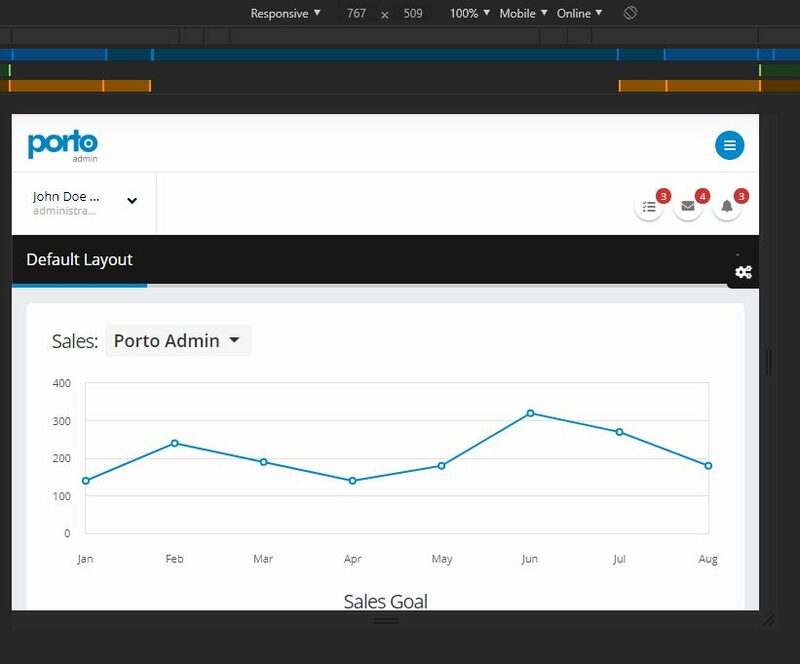 The Porto Admin Template Version 2.1.1 has a weird GUI problem with the screen width is 767px. I am using Google Chrome Version 68.0.3440.84 (Official Build) (64-bit). I took a screenshot of the issue here (http://www.automatewebsites.com/temp/767.png). While I have done some customization, I have checked with the originally downloaded template and it has the same issue. Can you help? Thanks in advance! Sorry but we couldn’t reproduce the issue here. If you open our preview (http://preview.oklerthemes.com/porto-admin/2.1.1/layouts-default.html) in a 767 x 509 resolution the bug you mentioned don’t occurs. Probably the reason of this issue is some custom code or missing library. Please, send an online test link of your website for us so we can inspect your code and help you with that. But please note that it’s not a bug with Porto Admin. On the link you gave me, the navigation menu is missing when the width is 767px. This issue seems to be related with your Operational System Scale/Zoom setting. Unfortunately at moment doesn’t exists any code that can fix this behavior. Our suggestion for you is use 100% of Zoom/Scale at your OS settings. Please note that it’s not a bug with Porto Admin. This reply was modified 8 months, 2 weeks ago by Support2. The screenshot you sent shows the Zoom of Browser. In my last reply i refer to the zoom of Operational System (not browser zoom). 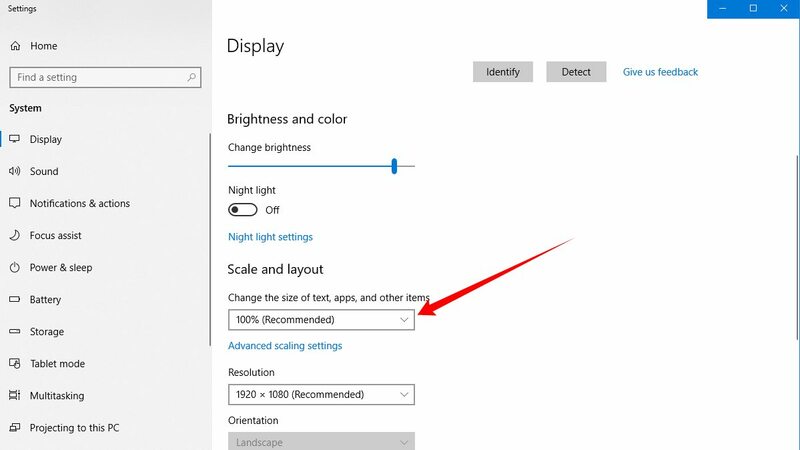 For example at Windows 10 the Zoom/Scale can be set on “Display Settings”. Awesome! That fixed my issue. I did not know OS scale effects how things appear in browsers but I am happy with setting it to 100%. I am sure the majority of users will have 100% zoom with their OS.